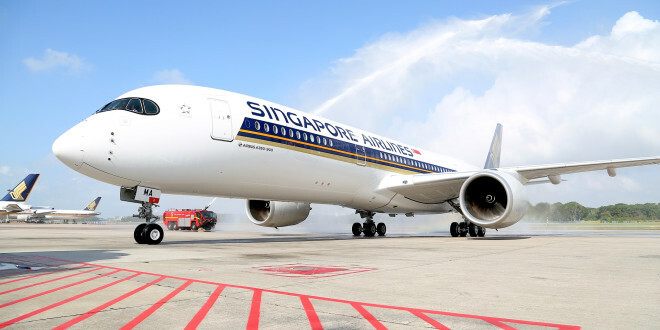 First A350 XWB of Singapore Airlines receives the traditional water cannon salute at Singapore Changi airport. 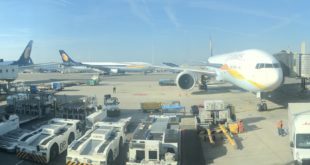 Singapore Airlines will add a second flight to Bangalore from 17 May 2019. 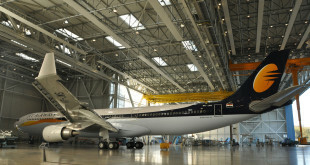 The airline will operate the second flight with its regionally configured Airbus A350-900 three times a week. The airline currently operates a daily flight with a Boeing 777-200ER.